Fan Zhendong still holds the number 1 ranking as he leads by a huge margin. MA Long made an exceptional upgrade in his ranking as he jumped from 6th to the 2nd position replacing Dimitrij who is now placed 3rd in the rankings. Boll Timo also lost his 3rd position and is now placed 4th in the table tennis rankings. Ranking Name Assoc. Ranking Pts. 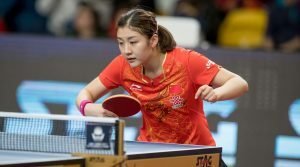 Chen Meng holds the number one ranking in the women’s table tennis rankings. Ishikawa Kasumi of Japan moved one rank up and is now placed 5th in the Table Tennis rankings. Other players who upgraded their rankings include Liu Shiwen, Hirano Miu and Cheng I-Ching. On the other hand, Feng Tianwei experienced a downfall in her rank by 5 points as she dropped from 4th position and is now placed 9th in the table tennis rankings. 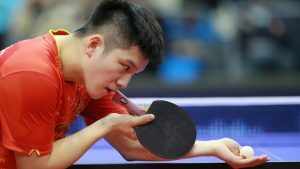 China leads the men’s team table tennis rankings with Germany and Japan only 2 points apart from each other and placed 2nd and 3rd respectively. Ranking Team Name Ranking Pts. Chinese women team is as good as the men’s as it dominates the women’s team ranking with 232 points followed by Japan and Hong Kong who are placed 2nd and 3rd respectively.